“… Life in the city is unbelievable...” Darey croons in my ear, and as I look around, I deeply resonate with the song I recently unearthed, “Pray For Me” by Darey. It was my first time being in the city, and I feel amazed and scared at the same time. I feel like a little bird who’s leaving the nest for the first time. My silent musings and wishes have been answered, for I have been telling myself that it’s about time that I go out of my comfort zone and see the world and all that it has to offer. Unlike Darey’s tragic, heartbreaking story in his song, I am here to serve my country. 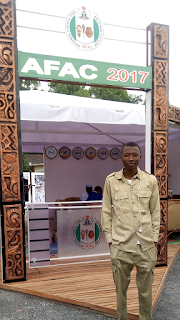 I was posted to the Federal Capital Territory (FCT) for my one-year mandatory national service. All my life, I have never left home to any place for any reason. I was born, bred and schooled in Zaria. 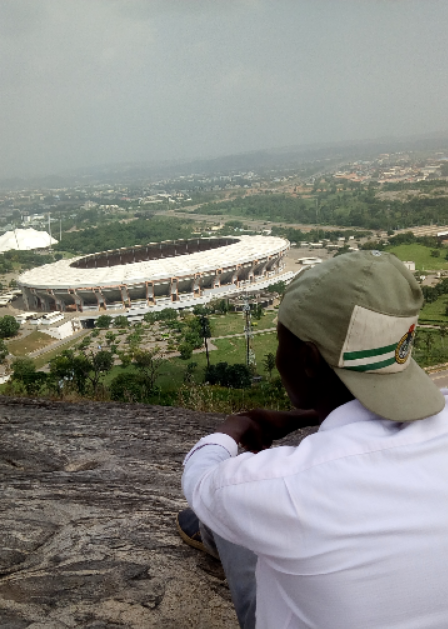 Abuja is the farthest I have lived in the North, and the closest I have been to the South was the one time I went for Ake Festival in Abeokuta for a few days. It feels so strange, yet so normal to be here. This blend of excitement and anticipation keeps me on the edge of my seat. Here I am; ready to take on the world in the nation’s capital, where its seemingly my gateway to the world – a vast world out there awaits me. I readjusted the earplugs in my ear, just as we passed the city gate. I like Abuja. No – I’m not talking about just the infrastructure, the hills and the green scenery – although they make such a compelling point for me to say that it is the best city (in Nigeria and the world) I’ve been to . . . so far. Of course, being a certified Urban Planner, an environmentalist and an avid hiker helps. I like Abuja because of the diversity it offers me. I like Abuja because of the different perspectives of life and living I get and the entirely new and refreshing knowledge I learn each passing moment. 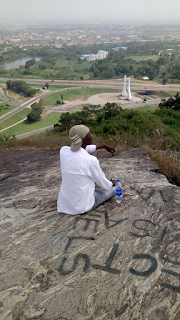 I like Abuja because of the people, and the hustle - the art of survival - in a no man’s land. I like Abuja because of its unique weather; a moderate sort of weather someone like me who is from Zaria is not used to. I can whip up a thousand reasons why I like Abuja, but the bottom line is because I’m comfortable here. Toni Kan described Lagos as The Carnivorous City, but as someone who has explored Abuja, I think it’s best described as an alluring, Chameleon City; I think this description best fits this deceptive, consuming and dangerous city. I have explored all the highs and the lows of the city and have mingled and interacted with members of different classes in the society to know just a bit about it. This is a city with people willing to go unimaginable lengths and do unspeakable things just to get up the social ladder. What man would do to a fellow man just because of few coins make my feelings recoil and the strands on the back of my head stand up. I am of the opinion that Abuja is more dangerous than Lagos because while Lagos is an economic city, with vast business opportunities flowing around; Abuja is an administrative city, and thus has limited opportunities; hence, the mentality of people to ‘get rich or die trying’. Don’t let all the plazas, the malls and the fine architectural masterpieces in form of buildings and structures sway your perception and deceive you; amidst all of the flowing gowns, flashy cars and a seemingly perfect city, are millions of commoners who make the city what it is literally with their blood and sweat. It is a city filled with builders that erect houses they cannot afford to live in, to many others in the informal economy that cannot afford to live in the city they are helping to keep afloat. They travel long distances daily to reach the city centre; the luckiest being the ones that can afford to live in the satellite towns and slums close to the city. I totally relate to this, because I work in a school I can’t afford to study in and commute a fairly long distance to work daily. I feel more relatable and connected to the common man on the streets; and that’s primarily because I’m one myself. I understand and live the stories I hear in the overcrowded cabs I enter, the pedestrian bridges I cross and by the roadsides I trek. I see my struggles in the calabash balanced on the head of Fulani milkmaids, and from the crippled hawkers under the Berger Bridge. I hear my stories on the lips of the motor park tout, who also came with his certificates looking for a job – two years ago. I hear stories – deep, real and raw – from the lips of cab drivers, and the makeshift Bukateria vendor safely hidden in the bush. I quietly hear and I listen; nodding my head in places of agreement and shaking it in silent sympathy and disbelief. In a city filled with wolves and underdogs, here I am, willing to discover myself. Life has never been clearer, and my goals have never been more enticing than now. I know this, because to survive here, you have to know who you are, what you want and where you are going. I see hopes, dreams and ambition shining and glinting in the eyes of the street hustlers – the plantain chips sellers, the roadside food vendors, mobile preachers - and all the other underdogs who are in a frantic search for the Nigerian dream (if it ever exists). Amidst all that, one sees in this Godless city (one man’s description, not mine), my faith and belief in humanity has never been at an all-time high than now. These same underdogs - the small people – are kind, generous, and understanding. I know this because of the occasional shout of “Corper Wee” greetings for corps members I receive, to wry smiles that you’ll swear weren’t there seconds before, to getting street directions when I’m lost, to silent nods of acknowledging my existence and getting some of the “realest” advices – for free – and getting free lifts from total strangers. With tribal tensions boiling at different fringes of the country, I am at a place where people shelve all forms of identity to work towards a goal shared by everyone – success. Often, I wonder if this spirit could be replicated in our desire to build a country we all desire, what an astounding and remarkable result that would produce! With April – and Passing Out Parade (P.O.P) - fast approaching, my CV and documents have already been organized, printed and packaged. I now join the throngs of people scouting for job in the belly of the beast. While I do that, I’m using the remaining months I have touring the city; going to new places, hiking new hills and meeting new people. I am also eagerly waiting for my monthly allowance to drop so I can go watch Black Panther in the cinemas. Being a small person in this big city opened my eyes and made me see new horizons. I have explored my passion for both writing and photography – to positive results. I have learnt things that were not in books, discovered my strength and worked on my weaknesses, ready to capitalize on any forthcoming opportunities. I have evolved so much from the naïve kid that came to Abuja a year ago to this … person I’m becoming. As much as I have some reservations about the whole NYSC scheme, I am grateful for the growth and knowledge it offered. Salim Yunusa is a writer, poet and Urban Planner. 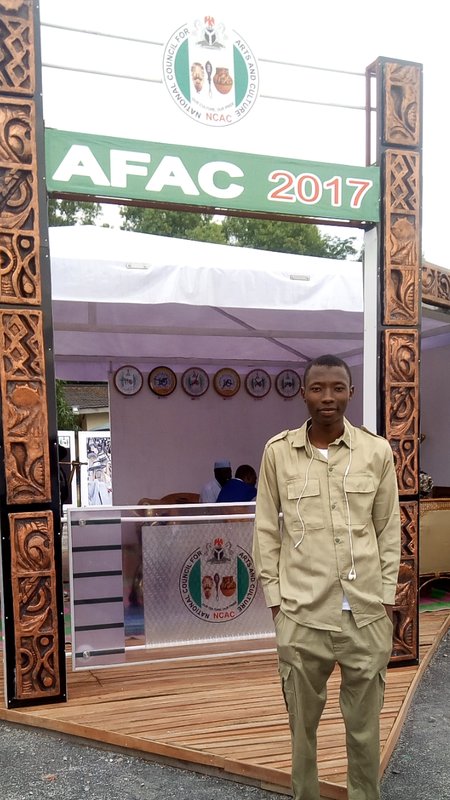 He is currently a serving youth corp member at Baze University, Abuja. He is the founder of Poetic Wednesdays, an online literary movement and the co-founder of a national NGO, Project Grassroots Nigeria. I usually feel bored reading lengthy write ups but this piece is awesomely written and it keeps my eyes glued to every lines.